Business ValueXpress (BVX) is one-of-a-kind business valuation software that simplifies business valuation and provides objective valuations that equal real-life actual transaction. 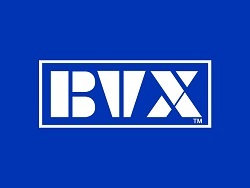 BVX integrates Price, Terms and Deal Structure, and uses optimization techniques to satisfy the needs of all parties to an M&A transaction. Some of its unique features are, cash vs. financed valuation, stock vs. asset purchase valuation, mezzanine equity determination, and goodwill calculation. With BVX one can perform live interactive valuations. BVX does not use any formulas, nor does it use any market data. BVX is a new dimension in valuation accuracy and simplicity. High Accuracy: Business ValueXpress (BVX) provides highly accurate valuations that mirror actual buy/sell transactions in real-life. This accuracy is a direct result of BVX’s approach of determining business value that satisfies the needs of all parties involved in buying and selling of a business. As an example, BVX satisfies seller’s need for maximum price, and buyer’s need for return on investment (ROI) and minimum cash equity. Users have been surprised at the accuracy of BVX valuation by testing it on completed transactions. Are S Corp. worth more than C Corp.? or a cash flow lender, or a mezzanine lender, or a combination of these parties). Similarly, BVX valuation will be different if the transaction is an asset purchase or a stock purchase. Similarly, BVX valuation will be different depending on operating parameters, financing, and future performance. BVX results are more believable, because they are based on objective inputs. BVX does not use any formulas, nor does it use any market data. Subjective inputs like weighting factors, cost of capital, selection of valuation method, selection of basis for earnings etc., are all eliminated in the Equilibrium method used by BVX. Due to one-screen operation and user-friendly intuitive interface, a person with financial background can complete a business valuation in a breeze. The “new valuation” template, that opens every time one starts BVX, requires only nine input parameters to complete a first-cut valuation for a new business. BVX eliminates subjective inputs, and limits inputs to those which are most critical, are operations driven, and are easily available. This makes it one of the easiest, but most powerful business valuation software. BVX has many features that are not available elsewhere. Simultaneous determination of, 1) selling price, 2) buyer equity, 3) gap financing (often-called seller financing), 4) goodwill, 5) cash down payment to seller, and 6) Mezzanine equity. Instantaneous "What if" analysis, etc. Financing Inputs: Revolver, Term Loan, Over Advance Loan, Loan with Deferred Principal, Balloon Loan, and Mezzanine financing with principal amortization and deferred principal payments. Independent Real Estate financials and ROI analysis. (Note: BVX does not value real estate, but does analyze its financials). Reports can be printed or exported to Excel. The reports consist of: 1) a two page Summary report of valuation results and all inputs, and 2) detail back-up reports of income statement, balance sheet, cash flow, ROI, sources/uses of funds, purchase price allocation, bank loan details, depreciation schedules, etc. BVX is a paradigm shift in the field of business valuation theory. Commonly known finance theory states, “… the value of the firm is independent of financing…” Such theory and its advancements have been the foundation for corporate valuations. However, the real world has significant deviations from the simplified assumptions used in such theories. In real world, value of a firm depends on available financing, terms of the deal, the structure of the deal, and operating parameters. BVX calls this approach to valuation as the Equilibrium method of valuation. Using BVX’s Equilibrium approach one values businesses based on Future Performance, Financial Leverage, Financial Return Expectation, Cash Flow (Not Profits), Deal Structure, Asset Type, and Exit Strategy. For more discussion see Valuation Approach of Business ValueXpress. The Equilibrium approach satisfies the needs of all parties to the transaction; specifically, the needs of the seller, the buyer, the lender, the tax authorities, and the business itself. Some of the needs that BVX satisfies are maximize selling price, minimize buyer equity, achieve buyer’s ROI target, meet lender obligations, pay all taxes, fund working capital etc. For more discussion see BVXMethodology. BVX is a management tool to understand shareholder value-drivers. What is the impact on business value of improving inventory turns? What is the impact on business value of quality financials, or good inventory counting? Does growth always mean more value? Does higher profit margin mean higher price multiple, or higher value, or both? Why do process industry valuations differ from traditional manufacturing? What if the sales growth comes from slow-paying customers? BVX is a powerful tool for instantaneous “What if” analysis. Many of its answers are counter-intuitive, and often, unexpected. BVX moves valuations from the back-office to live & interactive valuations on the laptop. The objective inputs, and the resulting objective valuation of Business ValueXpress (BVX), empower the user with the confidence of doing live, frequent, and interactive valuations in front of the clients. No longer business valuation has to be limited to the back-office; it can be done on the laptops with the clients. BVX is being used on a negotiating table to help bridge differences of various parties. BVX eliminates the defensive posture that one needs to take to avoid explaining subjective assumptions of traditional valuation approaches. With BVX, there are no inputs for choosing valuation methods, weighting factors, selecting earning basis, cost of capital etc. A seamless valuation tool and a deal structure tool in one product. Business ValueXpress (BVX) provides two powerful business valuation tools in one software product; a Valuation tool and a Deal Structure tool. A single common screen is used for doing valuations, and for analyzing deal structures and “What if” scenarios. As a valuation tool, BVX determines the “Best Value” that satisfies the needs of all parties to a transaction. The “Best Value” is where most transactions occur, because it is not only the highest value for the seller, but it meets the expectations of all other parties to the transaction. What would happen to cash flow and ROI, if the offer were increased? What should be the price decrease if the financial markets tighten-up? What are the economic implications of changing an Asset offer to a Stock offer? What happens if growth projections do not come true? What happens if the profit is less than expected? If any input is changed, after determining the “Best Value”, BVX automatically changes into an “interactive” mode. All outputs are instantaneously changed, as inputs are changed. For example, if the deal structure is changed from an Asset Purchase to a Stock Purchase all outputs (including Buyer ROI, income statement, balance sheet, cash flow, etc.) are changed automatically. Similarly, if the deal is modified for price, or equity, or growth assumption, or lender financing terms, all results are changed automatically. BVX uses intelligent color-coding to flag areas where the needs of the parties are not satisfied. BVX can be used for small or large business, any type. Business ValueXpress (BVX) has been used in many different industries for valuation of small mom-and-pop businesses requiring no bank financing to large privately held business requiring multiple layers of financing. Even though BVX inputs are independent of the size and the type of the business, its valuations equal actual market transactions. Why are BVX valuation results so accurate? This is due to the fact that BVX relies heavily on the operating characteristics of the business, and the ability to get financed; these factors presumably reflect its size, industry, and overall health of the economy. The fundamental premise of BVX is that the valuation of a company is company-specific, not just industry-specific. For example, lets us say there are 3 companies manufacturing Grabule, a health care product. Assume that each one of them makes the same profit, has the same growth opportunity, and can get the same financing terms. One company sells to the drug stores, the second to the hospitals, and the third to the retail customers with credit cards by phone. BVX will come with a different valuation for each of the three companies; conventional methods will not. The convenience and the accuracy of Business ValueXpress (BVX) opens new markets for decentralized business valuation in the hands of many users. Following observations are based on user feedback. BVX helps M&A advisors and business brokers to improve deal screening prior to engagements, to manage buyer/seller expectations, to reduce deal collapse, and to recover from cratered deals. Sellers, who have some financial familiarity, can perform their own valuations. BVX helps management understand shareholder value impact resulting from decisions that involve working capital and capital expenditures; because working capital and capital expenditures are an integral part of BVX business valuation. BVX helps buyers make an defensible offer based on their projections, ROI expectations and ability to get it financed. BVX also helps the buyer develop creative deal structures to satisfy the lender and the seller. Lenders and attorneys can use BVX for a quick in-house assessment of the transaction. BVX performs 500,000 to 10+ million calculations per business valuation. Business ValueXpress (BVX) does not use any formulas, nor does it use any market data, nor does it use any known valuation methods. How does then BVX determine the valuation of a business?